as part of a well-rounded career service plan. We offer a variety of career coaching / mentoring plans for 30, 90 and 180 days or more to aid you in growing your career. As well, we offer a variety of a la carte services you can pick and choose from. Cover Letters: Need a brand new cover letter that will get you hired? Does your cover letter need some sprucing up? The Career Service Station has a team of people who know exactly what other companies want. Resumes: Have you been at the same job for years and haven’t touched your resume since you applied? 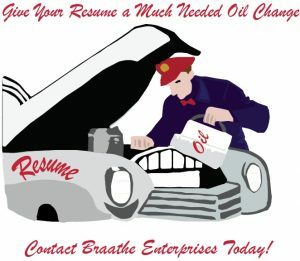 Do you feel as if you have too much on your resume and are unsure what to remove. The Career Service Station understands what should and what shouldn’t be on a resume and is here to help you. Linkedin:Creating a well written, professional Linkedin profile can be difficult. The Career Service knows what information you should have front and center on your Linkedin profile. Share with us your profile and our experienced team will give you our professional opinion on it. Job Application Services: Annoyed by the job application process (having to fill out forms over and over again, not hearing back despite spending so much time on the application online? Have us do the work for you. Send us your information (references, contact info, dates of employment), and we will take care of it as part of our career service packages. Contact us or send us an email at contactus@careerservicestation.com for a quote regarding any of our services. Turnaround time is generally within 24-48 business hours of receipt, and we will give you the opportunity for giving feedback once we send you our initial revision. Transitioning Veteran Resume and Cover Letter Services: Are you a veteran looking to return to the civilian workforce, or in the active military and seeking a promotion or job opportunity? The Career Service Station can write you your resume and cover letter to convert your military experience into content that translates well to civilian job openings.